Presenting an expertly curated mixed program, The Australian Ballet begins it Melbourne 2017 season in superb form. Faster showcases the company with a well-matched trio of cutting edge contemporary works, two of which are Australian premieres while the third is a world premiere. As with the recent, very successful tradition of staging thrilling triple bills of modern dance, the program for Faster gives a clear view of the terrific strength of the current company of dancers. To see eight of the ten Principal Artists perform on the one evening is a genuine thrill. This is further enhanced by the chance to enjoy unique combinations, such as Adam Bull and Chengwu Guo dancing together at the beginning of Infra. Created by choreographer David Bintley and his creative team in anticipation of the 2012 London Olympics, Faster is a real crowd pleaser. The piece has even more scope to be popular here given Australian’s love of sport. As with all grand sporting competitions, there is a sense of spectacle about Faster. Modern athletic outfits are a natural fit for dance costumes. Becs Andrews initially outfits the dancers for a range of sports, before moving the full company to colourful lycra running gear. To see the dancers in fluoro runners, with girls’ ponytails flicking about as they move, gives the work a very distinctive aesthetic. There are some lovely moments of humour of as the audience recognises which events are being represented. Swimmers take their blocks, basketballers dribble and weave, and Ben Davis trots by as a very serious walker. After representing the high beam, Nathan Brook and Richard House lift gymnast Amber Scott overhead through a range of gracious aerial arcs. There is a climactic moment midway through the piece, in which all competitors dancers return to the arena stage to create a dynamic collage in which each sport is clearly discernible. While it seems for a moment that the piece is over, the energy changes dramatically to move on to an abstract pas de deux in which Ako Kondo and Andrew Killian create a fascinating range of contortions. The pace rises again as running teams of various compositions perform intricate fast rhythms, climaxing with the full company on stage for a spectacular marathon led by Brooke Lockett. Lighting is an integral element of Peter Mumford’s stage design. Green laser lines create running lanes, and the rear panel lifts to reveal the rich blue of the pool. The score features a variety of fresh and exciting music by Australian composer Matthew Hindson. Orchestra Victoria, conducted by Nicolette Fraillon, contributes blazing brass, fluttering flutes and zany xylophones. Having gained experience through the Bodytorque program and with previous mainstage pieces, resident choreographer Tim Harbour has created a work of great vision and maturity with Squander and Glory. Inspired by French philosopher George Bataile’s essay The Accursed Share, Harbour reflects on the fleeting nature of the spending of energy. Accompanied by flashes of lightning, the curtain rises to reveal a striking visual image. Clad in black Keto Dancewear, the dancers begin as a bold group facing the audience. Upstage, a full size mirror effectively doubles the number of dancers on show, and creates the fascinating effect of watching the front and back of dancers simultaneously. Designer Kelvin Ho has also crafted a large, angular, abstract three-dimensional sculpture, which hangs overhead. Squander and Glory is accompanied by Michael Gordon’s Weather One, a work of unrelenting intensity written for strings. Harbour’s choreography matches this intensity, with a flow of dancers performing with sharply focused power. In this world premiere performance, stellar work is seen from the combinations of Vivienne Wong and Kevin Jackson, Leanne Stojmenov and Jarryd Madden, and Brett Chynoweth, Jill Ogai and Marcus Morelli. Midway through the piece, the house lights rise to reflect the eager audience, before gradually dimming to bring focus back to the cast. To answer the lightning flashes of the opening, the piece concludes with the sound of distant rolling thunder as the company members lie on the stage, their energy well and truly spent. The presence of the mirror particularly pays off in this final moment. As the last dancer joins the others in a circular arrangement on the floor, an appreciative sigh of satisfaction can be heard across the auditorium. 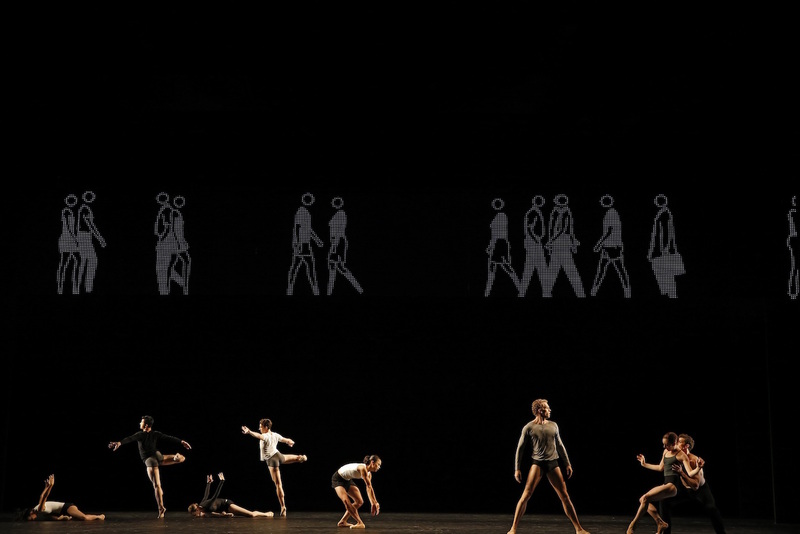 A creative force who has achieved international renown, British choreographer Wayne McGregor brings his 2008 work Infra to The Australian Ballet. A fascinating slow burn, the piece has a unique visual style. The significance of the term infra is that the dancers perform below a full width LCD screen. Designer Julian Opie has crafted an intriguing animated series of people walking across the screen. Even though the heads of the figures are just circles, the realism of their physical movement and presence is striking. As with the overhead figures, the dancers below have a series of journeys and interactions. 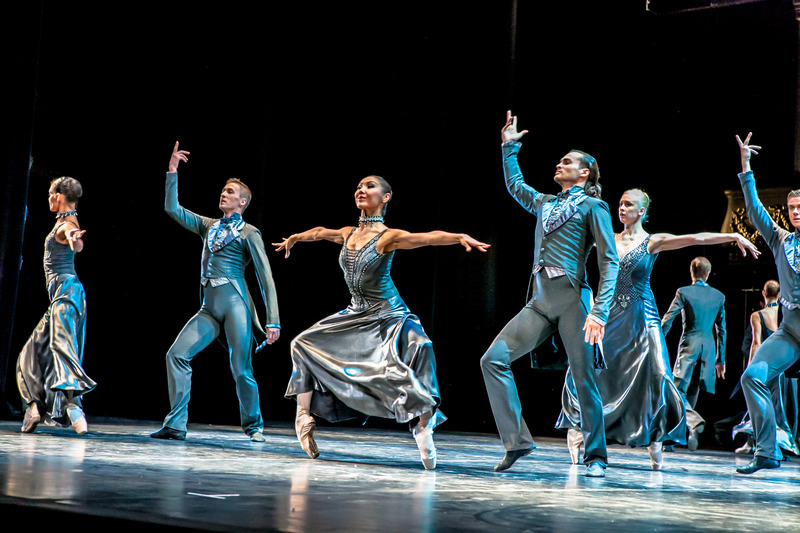 McGregor’s work has a dazzling complexity; using a shared choreographic vocabulary, the dancers all perform unique movements. At one point there are six couples across the stage, with each pair having been given their own choreography. After building to something of a frenzy, both on screen and on stage, the piece focuses again on individuals and couples. Jackson delivers a solo of sinewy strength and great depth of expression. Wonderful pas de deux work is seen from Wong and Christopher Rodgers-Wilson and Amy Harris and Bull. Max Richter’s score for Infra is more of a soundscape than a traditional composition, making its performance all the more impressive. Simon Thew leads Orchestra Victoria for this third chapter of the evening. Lucy Carter’s lighting leaves an ominous inky blackness at the rear of the stage, allowing dancers to appear and disappear quite magically. Lovers of modern dance are sure to be thrilled by the exciting and imaginative work on display in Faster. The success of the program reflects the ongoing success of The Australian Ballet itself, as the company continues to flourish under stable, creative leadership. Faster plays at State Theatre, Arts Centre Melbourne until 27 March 2017. 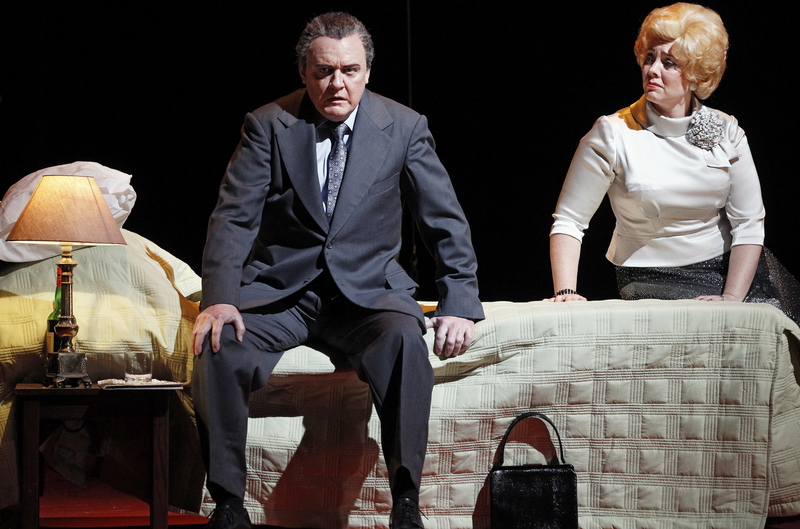 It plays at Joan Sutherland Theatre, Sydney 7 April to 26 April 2017.